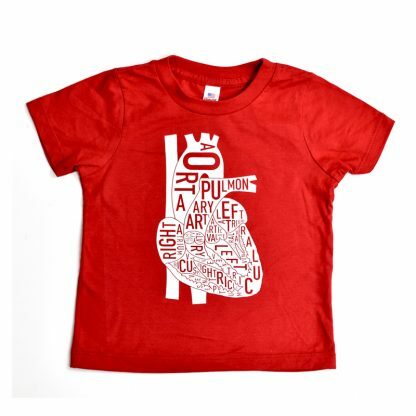 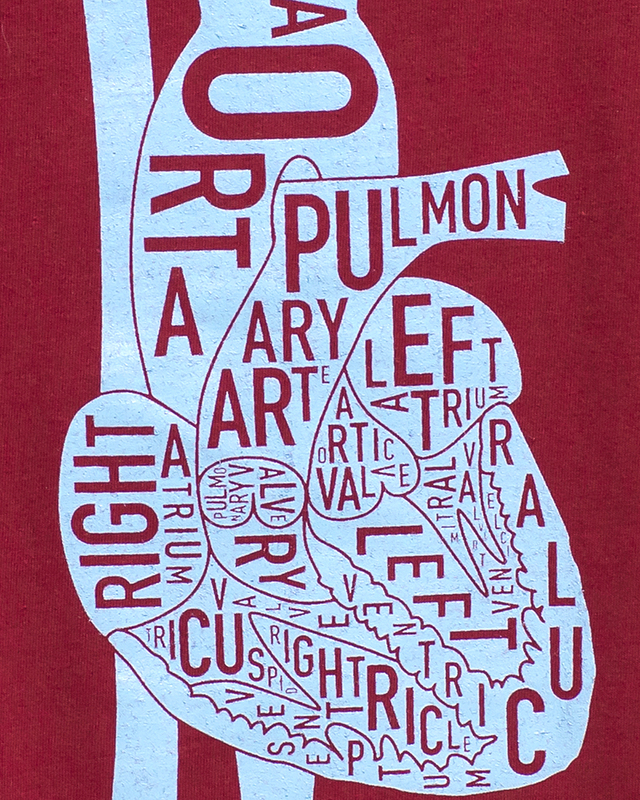 Wear your heart on your…shirt. 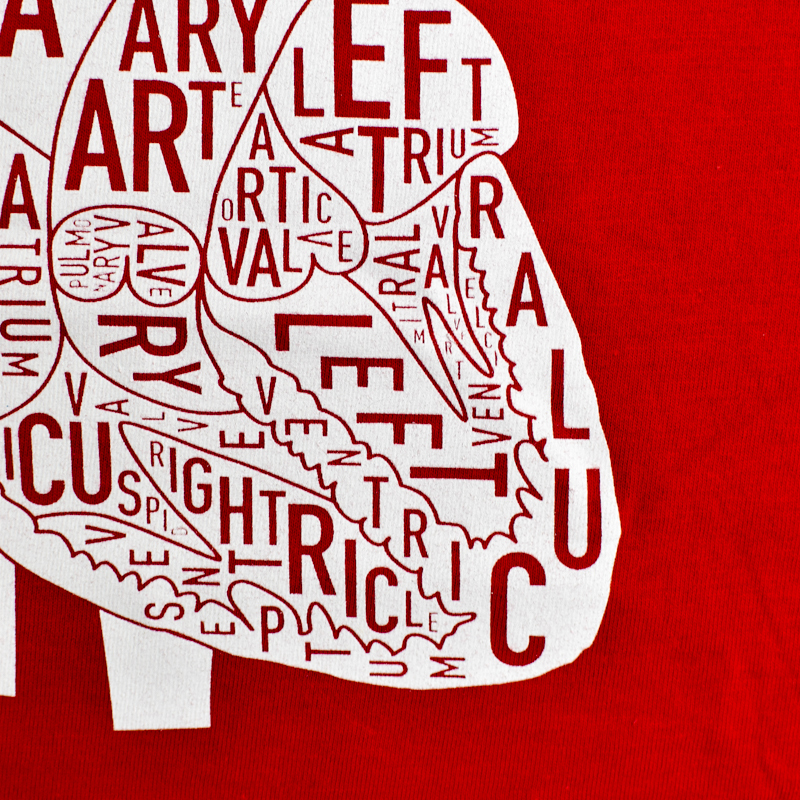 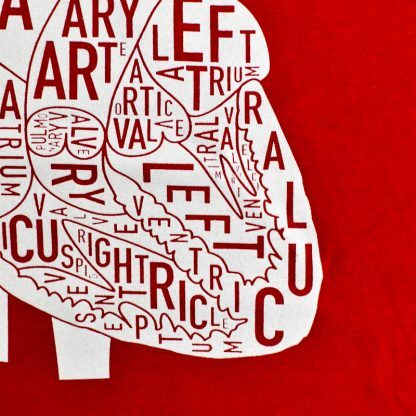 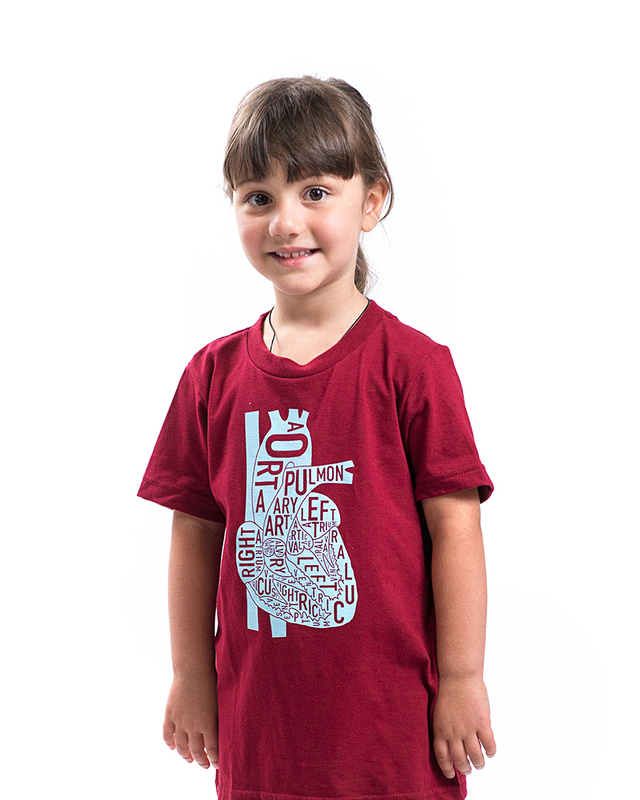 Our signature typographic design of the anatomical areas of the human heart. 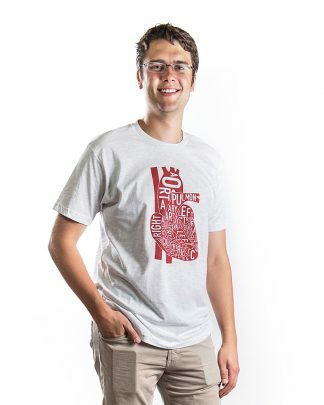 This shirt is 100% cotton and made in the USA. 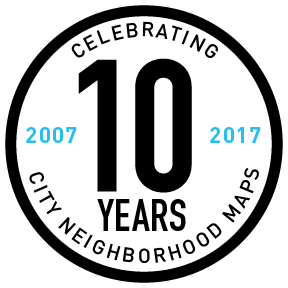 It’s printed with water-based ink in Chicago, IL. 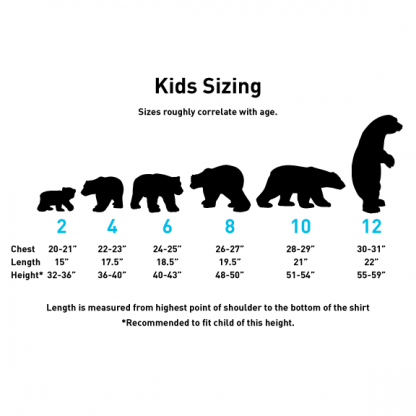 Sizes roughly correlate with child’s age.